kristy.makes: books: death benefits. at the sign of the sugarplum. uneasy spirits. books: death benefits. at the sign of the sugarplum. uneasy spirits. i have a love/hate relationship with book series. and part of me gets irked because i get through the books & then have to WAIT on the next book. i promise that my blog will one day be more than books & boring. these are the last three books i've read.. If you, like me, grew up loving 'Murder She Wrote'.. or are currently one of thousands obsessed with the onslaught of CSI type shows, this is for you! This is a great series. The second book picks up shortly where the first left off, but it can certainly stand alone. Julia Jackson is an agent for the Georgia Department of Insurance. She investigates insurance claims before payment can be made to beneficiaries... sounds boring right? It is SO not boring. 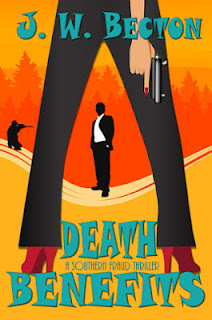 In this installment Julia & her partner Mark Vincent set out to investigate a mysterious car fire, where the occupant has been burned to a crisp.. and before the body can be identified, his widow has a call in to collect on his death benefits..... And that's just the beginning. Death Benefits is a good ol' who-dun-it that will have you turning pages, while you try and sort out the cues for yourself. Hannah is a young girl from the country, ready to live it up in the big city. The city is London & the year is 1665. Hannah doesn't know it yet, but her time in the big city is going to be filled with misery, because the plague has just begun claiming victims. I can't say I know too much about the plague, and I'm sure that the authors descriptions although sometimes graphic, were no where near as horrible as the sights people of that era actually witness. I found the book one part education & one part entertainment. I think this is a young readers book, but I found I enjoyed it just the same. Would recommend to anyone willing to give historical fiction a chance... just don't expect anything other than a tale of a young girl & her sister trapped in a city crumbling around them. There isn't much of a plot beyond getting out of the city alive. I cannot begin to express how much I love this series!! 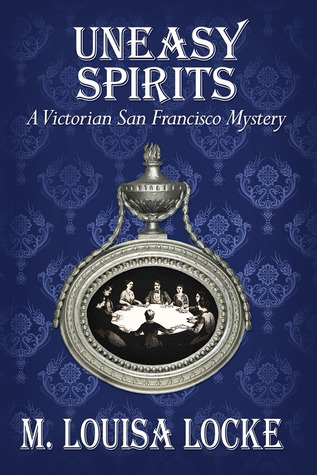 I have no particular inclination to the Victorian era.. but this series is just amazing. 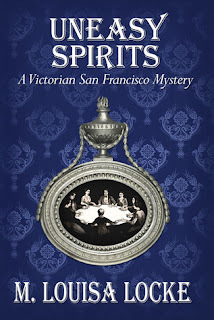 The language isn't so detailed that you get lost in the descriptions of the surroundings... there is just enough to make you feel like you are right there in the 1870s, walking the gas-light lit streets of San Fran. Annie Fuller is a twenty-something year old widow. She's lived a hard life in her short years, losing her mother, then her father, and then her husband. She's made a life for herself though.. she owns a quaint little boarding house, and she gives business advice under the guise of Madam Sibyl, a fictitious clairvoyant... & it's the very thing that lands her in the middle of her next ordeal. Annie's newest boarder enlists her help in proving the new medium in town is a fraud. 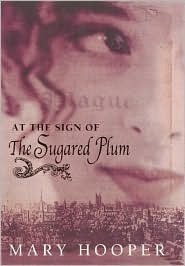 Uneasy about her own charade as Madam Sibyl, she agrees & finds herself in the middle of seances where tables shake & little girls act mysteriously... but is it a hoax? Another well written mystery series that I've thoroughly enjoy & would recommend to anyone who likes mysteries! !